DUSSELDORF (Bloomberg) -- Volkswagen AG may oppose demands by the German IG Metall labor union for 6 percent more pay for the carmaker's workers in western Germany as VW plans to add thousands of jobs in its home-market and abroad. Europe's largest automaker may create 50,000 jobs globally by 2015, with about 10 percent of the positions in Germany, its second-biggest market after China, personnel chief Horst Neumann told German newspaper Handelsblatt. VW spokesman Stefan Ohletz confirmed the comments. New job openings in Germany require VW being able to improve “its competitiveness as planned,” Neumann said. Wages may increase by more than 2.7 percent, reflecting a raise for engineering staff already agreed on last February plus performance-linked bonuses to be granted in May 2011, he said. Wolfsburg-based VW's nine-month net income jumped fivefold to 3.78 billion euros ($5 billion) while global sales are set to exceed last year's record of 6.29 million cars, vans and SUVs. 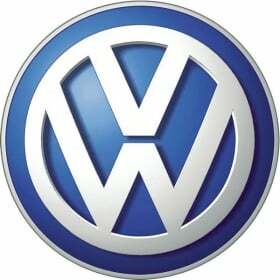 VW plans to invest 51.6 billion euros in the automotive business through 2015 to help reach a goal of surpassing Toyota Motor Corp. in sales and profit by 2018. VW's preferred shares rose as much as 4.30 euros, or 3.2 percent, to 139.45 euros and were up 1.9 percent to 137.70 euros as of 13:12 CET in Frankfurt trading. The stock has gained 111 percent this year, valuing the carmaker at 58.5 billion euros. Germany's biggest union said today it will hold the first set of pay negotiations with VW on Jan. 19, less than two weeks before the current 18-month contract, which earned workers a 4.2 percent raise plus one-off payments, expires on Jan. 31. IG Metall is legally banned from calling strikes at Volkswagen's seven western German factories until Feb. 28, 2011, when a four-week cooling off period expires. Besides the 95,000 manufacturing workers, IG Metall is also negotiating pay for 5,000 staff at the carmaker's financial services division.